The first "Good shelf" was installed in Ussuriysk. Social action started on the initiative of the business community. Now needy residents can get free groceries at one of the local supermarkets. Entrepreneurs from Ussuriysk Igor Vetryuk and Elena Kalinina do not just shoping at the local supermarket. There are the first stock of products for the first in the city "Good shelf". The meaning of the promotion is very simple: the one who can afford it fills the grocery shelf at the outlet of the store. And those who really need it, can take products from here for free! The idea to create a "Good shelf" was born a long time ago - the project was realized by members of the Ussuriysk Business Council. Therefore, they had the honor of being the first to fill the shelf with products. 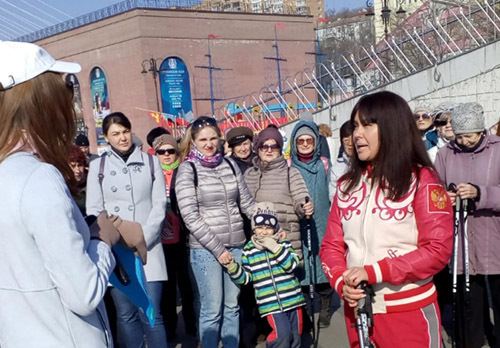 The organizers of the action do not think that the people from Ussuriysk will also bring food here with carts and baskets, and this is not necessary. Even a small things, like a pack of tea or a loaf of bread from one person, will help those in a difficult situation.